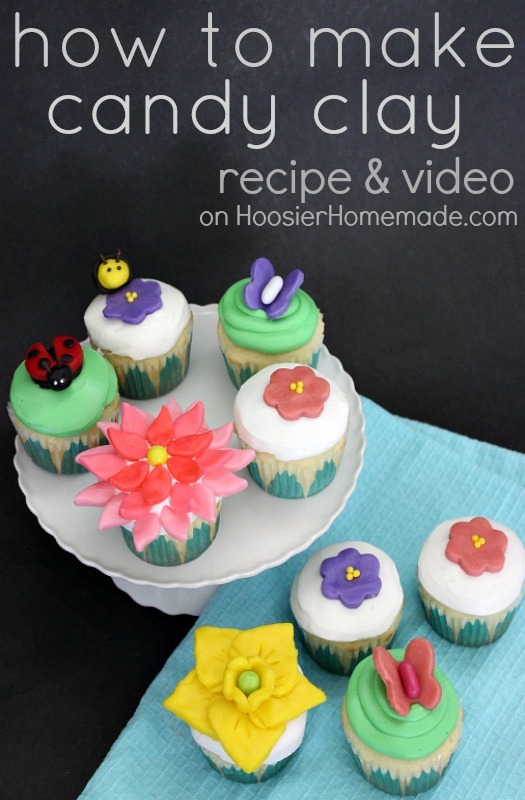 Welcome back to Week 3 of Cupcake Boot Camp! We have covered the basics of baking cupcakes, how to add filling to cupcakes, and today I am showing you how to make Candy Clay. 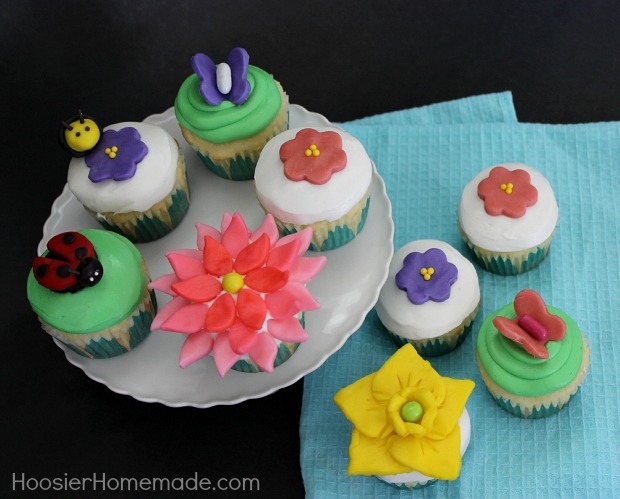 If you are regular here, you may have remembered me using Candy Clay several times already, in the Flower Cupcakes last year, the March Madness Basketball Cupcakes and also in Cupcake Chronicles Newsletter. But I have never had the opportunity to do a video and show you how fun it is to work with Candy Clay. 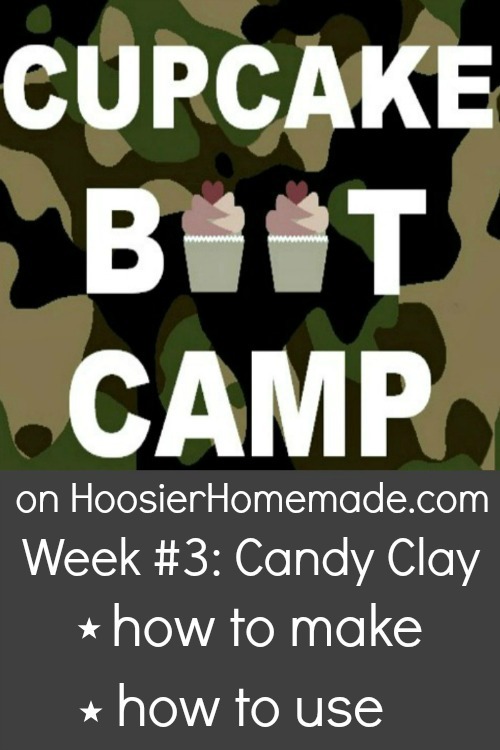 Let’s chat about how to make and use the Candy Clay. 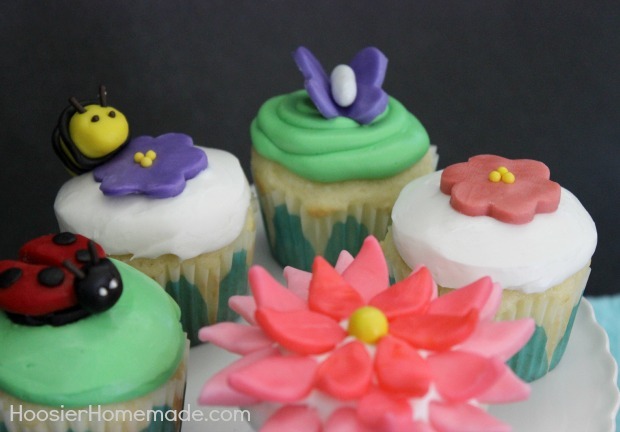 I will show you how to make the flowers for the cupcakes, and then stay tuned for Cupcake Chronicles Newsletter on Friday, I will be sharing the other cupcake designs with the Bumblebee, Dahlia Flower, Ladybug, and Daffodil. 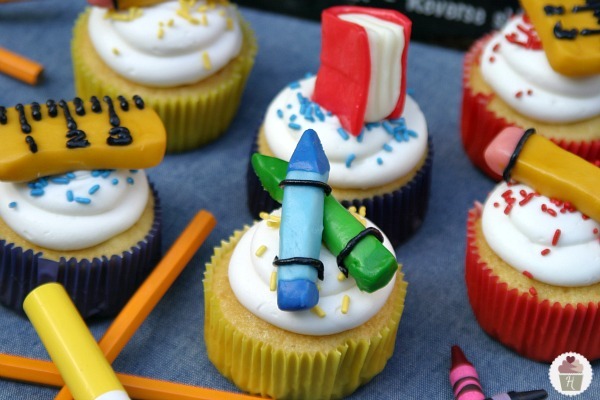 If you aren’t a Cupcake Chronicles Newsletter subscriber, what are you waiting for? It’s FREE…read all about it and sign up! Melt candy wafers in the microwave, stopping every 20 seconds and stirring. It should take about 1 minute total. I stop when there are a few small pieces left and stir until completely melted, that way I don’t over cook it. Add 1/3 cup corn syrup and stir until well combined. It will look a little grainy. Place clay on a piece of plastic wrap, cover and let set for at least 3 hours at room temperature. Need clay with your hands. You can wear plastic gloves if you want, the coloring did wash off my hands, but you may want to. After the clay is completely colored, wrap in plastic wrap and let set about 15-20 minutes. I found it was a lot easier to work with after it had firmed back up. It's best if the clay is made the night before you need to use it. Be sure to allow, 3 hours for it to set and an additional 15-20 minutes after you color it for it to firm back up. I made this today, it seems very thin and has excess liquid. I followed the recipe exactly except I didn’t have Wilton melt had a differ t brand. Could that cause this excess liquid? I want to make several batches for my grandchildern to decorate with, however don’t want to waste the money if the brand matters. Hi Paige, I have not tried an off brand, so that may be the problem. Also, if you let it set a day, the excess liquid with dissipate. Followed recipe and after mixing there was a bunch of coloured oil at the bottom. Too much oil? I can’t get candy melts in my country. Can I substitute it with white chocolate? Is there anything else I can replace it with? Hi Florencia, we have not tried it with regular chocolate. You can certainly try or maybe order the candy melts online. I appreciate this so-o-o-o-o much! Thank you for helping me to create. I really enjoyed your ideas for the candy clay and I might add this recipe was tasty too!!!!! Thank you for a different idea of decorations, other than fondant… LOVED ALL of the bootcamps, but really like this one!!! When I let my clay sit for 3 hours it gets pretty hard and a white crust around it. Is this due to being too cold ? Once I work with the clay it softens up a little but it isn’t as pliable as yours looks in the video.